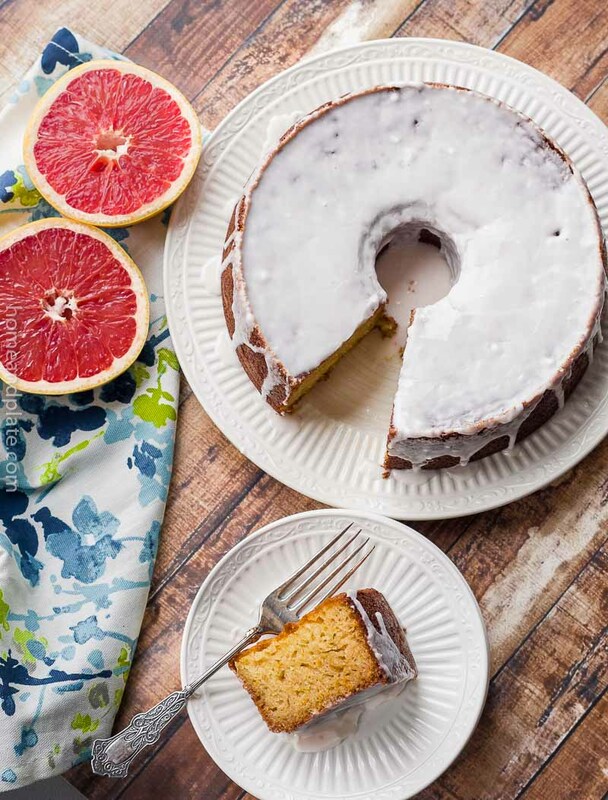 I love the refreshing flavor of citrus when it’s hot out. There’s nothing like a cool glass of lemonade to help beat the heat. My kids are the first to reach for a lemony sweet ice pop. It seems to be a regular go-to for my kids. So I was excited to create this recipe for a grown-up frozen novelty any adult (or child) would love. The secret ingredient for that tart lemony flavor – lemon curd. I had a jar in the fridge leftover from making Linzer cookies. Now, I’ve made ice cream many times in the past and I’ve made many versions that I didn’t like. One challenge to making homemade ice cream is creating a version that doesn’t taste too much like cream. 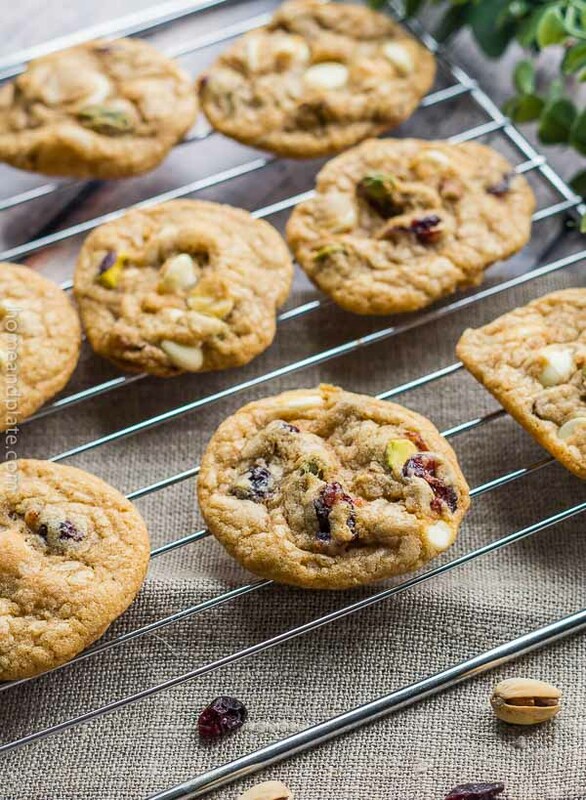 The consistency between the flavors added in has to be just right. Adding tart lemon curd to the half-and-half and heavy cream and letting it refrigerate overnight resulted in a light and delicious ice cream. My husband said it reminded him of sherbet, light yet creamy. I decided blueberries would be a great add-in and complement the lemon flavor. Blackberries would work well too. 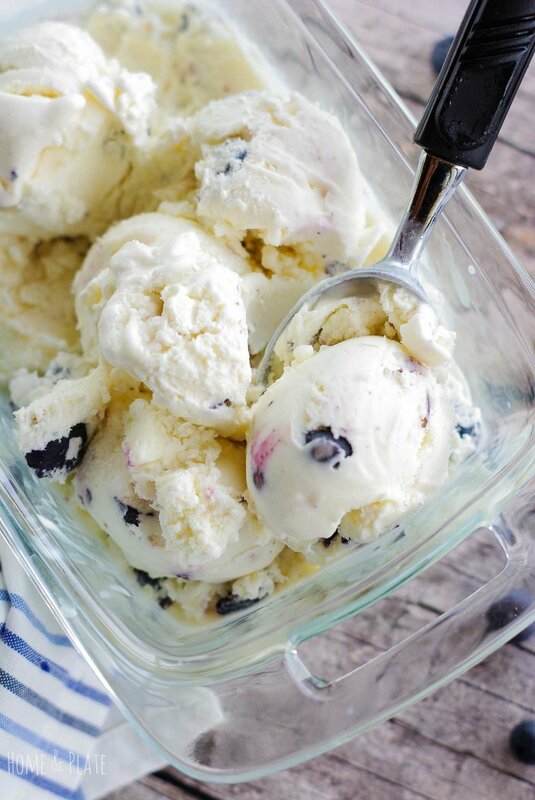 Just mash up the berries and fold them into the ice cream after it has finished churning. 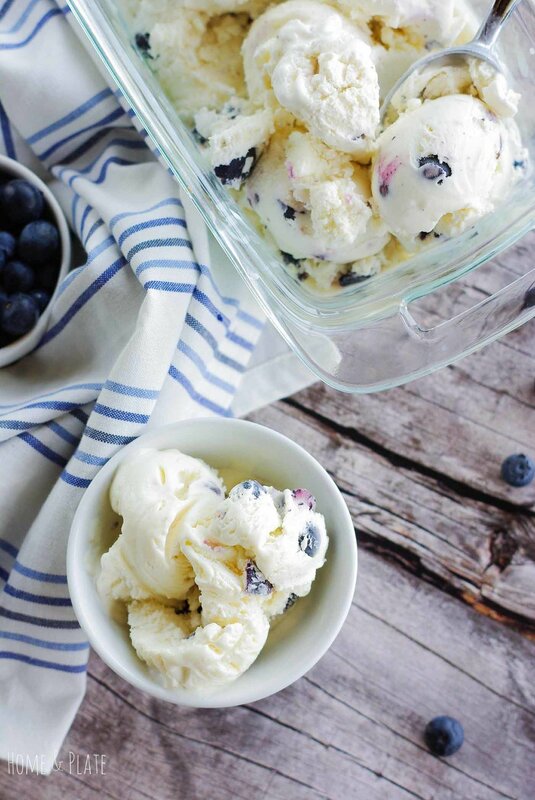 You’ll get great swirls of blue with sweet chunks of berries. If you don’t have an ice cream maker you should seriously consider investing in one. I’ve had mine for 17 years. It was a wedding gift. You may not use it too often during the colder months of the year but you’ll find it does come in handy during the summer months. 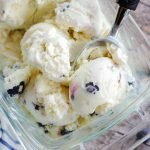 Bonus – you leave out the junk when making homemade ice cream because you are using a few simple ingredients that you can actually pronounce. This recipe makes enough ice cream to serve 8-12 people. Give it a few minutes to thaw before scooping it up and serving. Cool down on a hot summer day with a tart and sweet lemon curd and blueberry ice cream. It's a winning combination that reminds me of my childhood. Using a blender, mix together the curd, sugar, cream and half-and-half or about a minute. Refrigerate the mixture for 4 hours or overnight. Pour the mixture into the ice cream maker and churn according to the ice cream maker's directions. 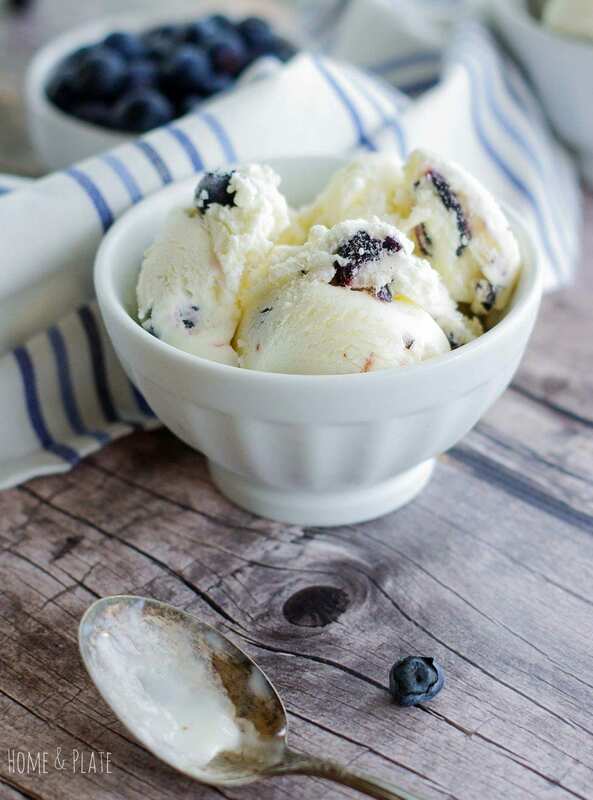 Once the ice cream has finished churning and is thick and creamy, muddle the berries and fold them into the ice cream creating swirls and distributing the berries. Transfer to a container and allow the ice cream to freeze for at least 4 hours before serving. I adore lemon desserts! 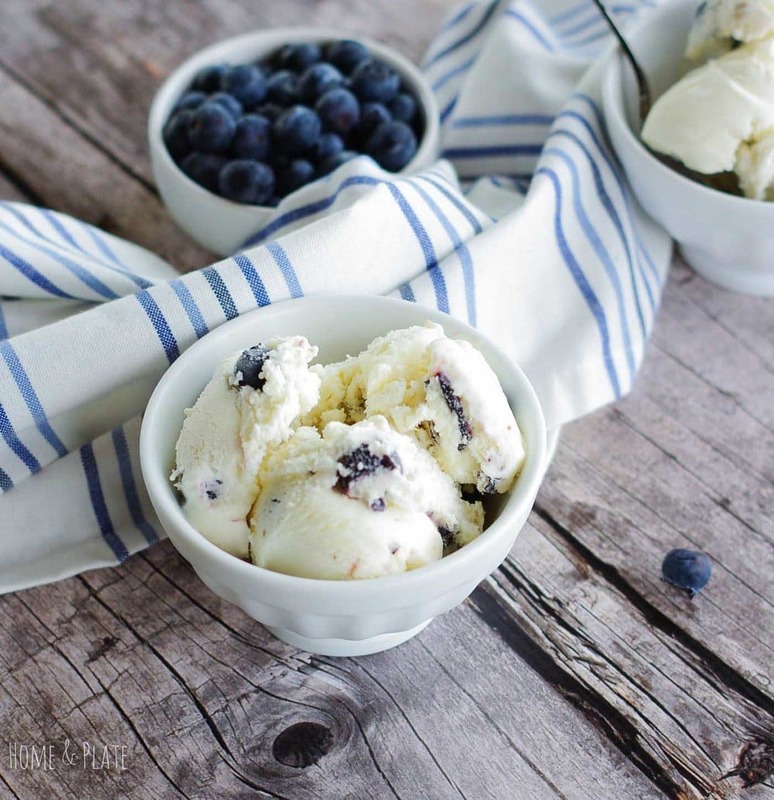 The Lemon Curd Blueberry Ice Cream has my undivided attention, lush and busting with flavor too. Thanks Deb. I love the sweet and sour and it’s great for summer. This ice cream looks absolutely delicious! The blueberries are a bonus! 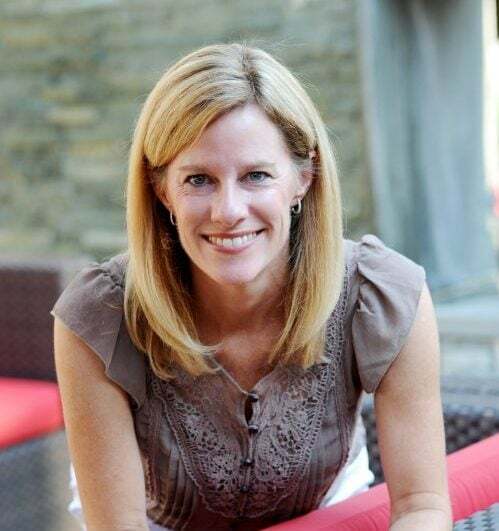 Thanks Marsha. I totally agree. Blueberries make everything taste better. We have an ice cream maker waiting for us to pull out of the closet to make this delicious dessert! Pinned! What are you waiting for? I promise you’ll love this ice cream recipe. It’s a winner.